Reduced risk of heart problems – Studies have shown that pet owners have a lower risk of cardiovascular disease. This may be due to the fact that pet owners are more likely to exercise. Even just one hour of physical exercise can counteract the effects of sitting for six to seven hours a day, according to a study published in Mayo Clinic Proceedings. Also, pet owners who suffer heart attacks are more likely to survive, according to a panel of experts from the American Heart Association. Lower blood pressure – The American Heart Association released a scientific statement affirming “an association between pet ownership and lower blood pressure.” This could be due to increased exercise levels or bonding and companionship with one’s pet. Lower stress – The companionship people receive from their beloved pets better equips them to deal with stress. Petting and playing with your dog helps your body reduce the release of cortisol, the stress hormone. It also promotes relaxation. Improved social behavior – A study was conducted in Germany with dementia patients in a nursing home. The patients were provided therapy sessions that included dog visits. Those that worked with the dogs had significantly longer periods of verbal communication, physical contact and longer attentiveness than patients who did not have any interaction with the dogs. Similar associations have been found with dogs and children with autism as well. Walking your dog is also a great way to get out of the house and meet other people, so the social benefits are numerous. Overall well-being – People with pets are generally found to be happier, more trusting and less lonely than those without. Studies even show that people who own dogs live longer than those who don’t. Dogs are very affectionate creatures and provide many emotional benefits to their owners. Every now and then, a customer walks into pH Labs, sees our non-toxic pet products and asks, “Is this a pet store?” The reason we offer pet products is simple. As you’ve just read, your pets help keep you healthy, active and even social. Pets, though, need to be in the best health themselves. So, just as we know the importance of keeping toxins out of our bodies, we also need to keep toxins out of our pets’ bodies. That means making sure they eat quality organic food and that you use non-toxic dog products. Typical dog food often contains cheap, unhealthy ingredients such as distiller grains. Also, make sure your pet’s shampoo is free from dyes, parabens, sulfates and toxins. And don’t forget about supplements like fish or krill oil, which are rich in fatty acids to keep your dog’s coat looking soft and shiny. Lastly, with summer heating up, make sure your pet is using BPA-free drinking bowls (extra points if it’s filled with alkaline water!). These are just a few ways you can keep your health buddy in tip-top shape. We’d love to know: What is your pet’s favorite activity that keeps you active? Let us know in the comments below. 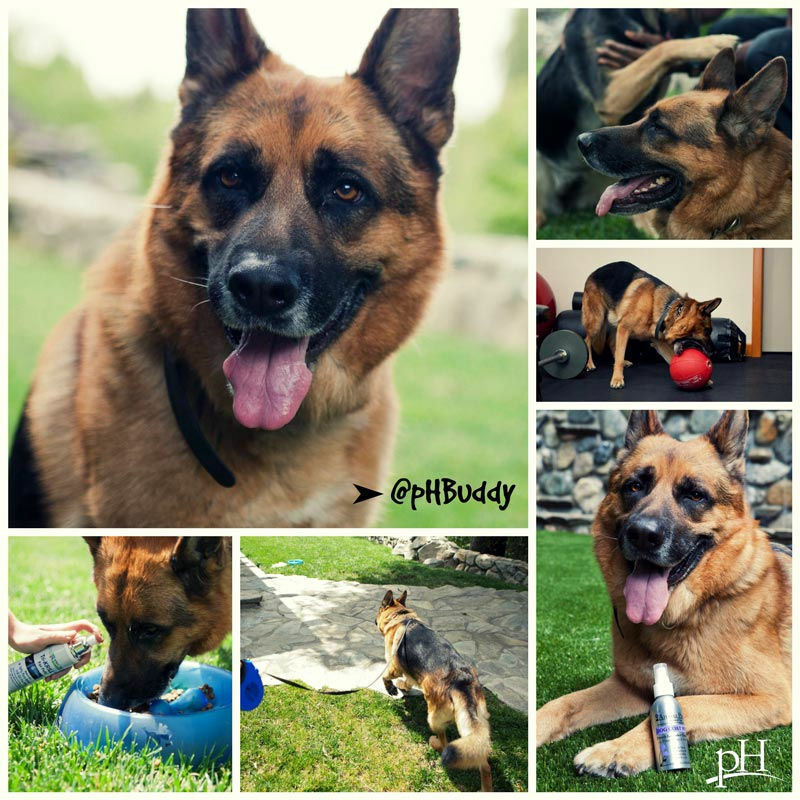 And be sure to follow our pet mascot, pH Buddy, on Facebook and Twitter (@pHBuddy) for fun and useful dog health tips, resources and recommendations.